Clean Scene Pro has been cleaning hardwood floors since 2006. Our staff of experienced hardwood floor cleaners uses high speed rotary brushes and premium hardwood floor cleaning products for a quality wood floor cleaning result. Hardwood floors need to be maintained on a regular basis with periodic deep cleaning and conditioning. Clean Scene Pro recommends deep cleaning your wood floor several times a year for maximum durability. Invest in your home by calling (678) 203-1929 to schedule your wood floor cleaning. Clean Scene Pro brings out the best shine in your hardwood floor. 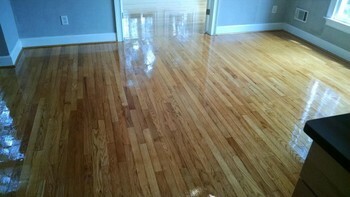 No matter what type of hardwood floor you have, we will bring out its best with a powerful deep clean. Whether your floor is a natural hardwood or an engineered hardwood, we've got the products and the tools to make your hardwood floor gleam. Our staff will carefully move any furniture or heavy items to another location while we clean. Clean Scene Pro pays extra attention to high traffic areas, like entryways. We remove scuff marks and restore worn out areas, so the high traffic areas blend seamlessly with the rest of your floor. Call (678) 203-1929 to speak with one of our hardwood floor specialists. We using non-toxic cleaning solutions that are safe for your family and pets. All Clean Scene Pro cleaning products have fresh, pleasant scents. Bring out your hardwood floor's natural warmth with a professional deep clean, guaranteed to make your floor look it's best. Clean Scene Pro has more than 13 years of experience cleaning all types of hardwood floors. Call (678) 203-1929 today to schedule a deep clean for your hardwood floor.